The new UC Davis Department of Entomology and Nematology's graduate student is an incredible success story who hurdled the obstacles heaved in her path and lets nothing—absolutely nothing--block her education, enthusiasm, research or goals. The first thing you notice is her unbridled enthusiasm, whether she's monitoring Virginia Creeper leafhoppers or parasitized leafhopper eggs in a UC Davis research vineyard, or sharing insect photos of everything from assassin bugs to praying mantids. Preto, a former foster care youth, turned a disadvantaged childhood into a college diploma, and a college diploma into graduate school. 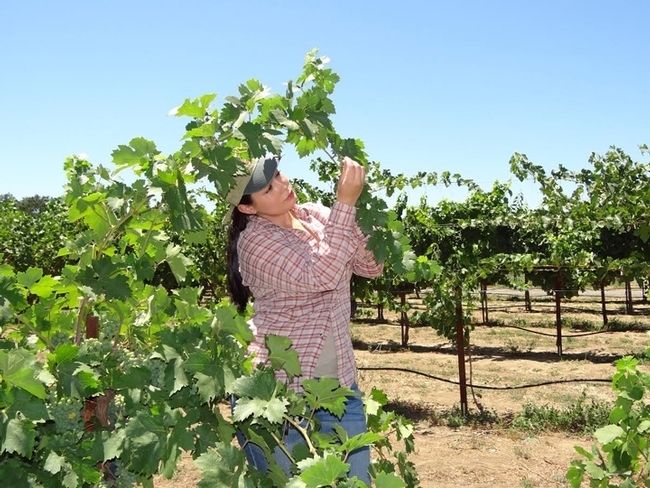 In June, UC Davis awarded her a bachelor's degree in viticulture and enology with an entomology minor in agricultural pest management. Now she's studying for her master's degree in entomology with major professor and integrated pest management specialist Frank Zalom, distinguished professor in the UC Davis Department of Entomology and Nematology. Preto has presented her research at the UC Davis Undergrad Research Conference and at the ESA's 2013 national meeting on “The Effects of Temperature on the Chronological Distribution of European Grapevine Moth's (Lobesia botrana) Life Stages from Egg Eclosion.” Next she'll present her undergraduate research at the ESA's 2014 meeting and is currently preparing a manuscript as a co-author for publication. 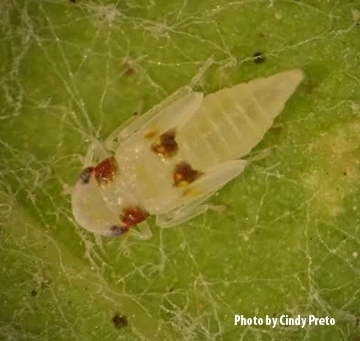 On Saturday, Sept. 27 Preto will represent the Zalom lab at the Bohart Museum of Entomology's open house on “How To Be an Entomologist” from 1 to 4 p.m. in Room 1124 of the Academic Surge Building on Crocker Lane.” She'll show visitors what leafhoppers and parasitized eggs look like. 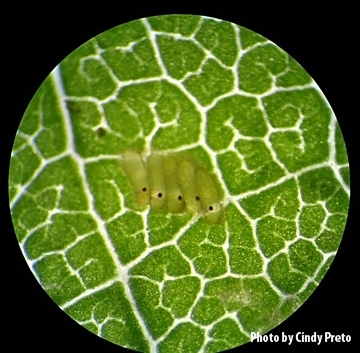 “I am currently doing a biological survey of Virginia Creeper leafhopper in vineyards, looking at the population dynamics of all life stages, egg, nymphs, and adults,” Preto said. The Virginia Creeper is one of three leafhoppers that she's studying in her population dynamics research. The others are the Western grape leafhopper and the Variegated leafhopper. They're all about the same size: 2 millimeters. In rearing eggs from nymphs to adults, she knows the distinguishing characteristics of each. Indeed it has. She's also drawing widespread attention as a scholar. 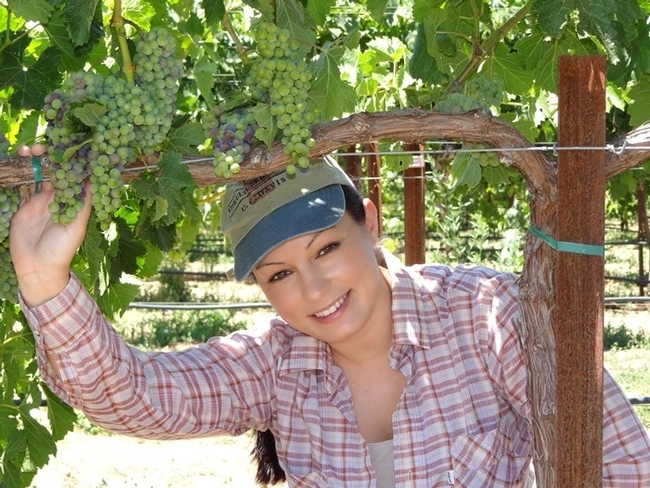 She received a Peter J. Shields Scholarship in September 2011; a Wine Spectator scholarship in September 2012; the MURALS research scholarship in November 2012; a Syngenta Scholarship, June 2013; a Wine Spectator Scholarship in October 2013; and an Orange County Wine Society Scholarship in October 2013. Preto also participates in the new UC Davis program, Guardian Professions Program or GPP, which is open to Masters/Ph.D students who are former foster care youth. And, she continues to participate in the Guardian Scholars Program or GSP, open to all UC Davis students who were cared for in foster homes. GSP students offer support for one another and also to current and former foster care youth in local high schools and community colleges by offering UC Davis campus tours, outreach, interactive activities, and speaking on panels to share their story in hopes of encouraging former foster care youth to seek higher education. A world traveler, she has journeyed to all seven continents, all 50 states, and to 59 countries. "It can be inexpensive," she said. Along the way, she's taken scores of images of insects. Preto takes a multi-disciplinary approach to not only her research but life in general, eager to know, learn and share. She figuratively skips to work, excitedly looking forward to new entomological finds. She's recorded and photographed not only leafhoppers, but assassin bugs, minute pirate bugs, stink bugs, lace bugs, mites, thrips, damselflies, dragonflies, moths, bees, wasps, spiders (jumping spiders and black widows), whiteflies and praying mantids. When Preto is not out in the field monitoring insects, you'll usually find her reading about them or studying them in the lab—weekends included. “It's extremely fascinating,” she said. Her career goal? 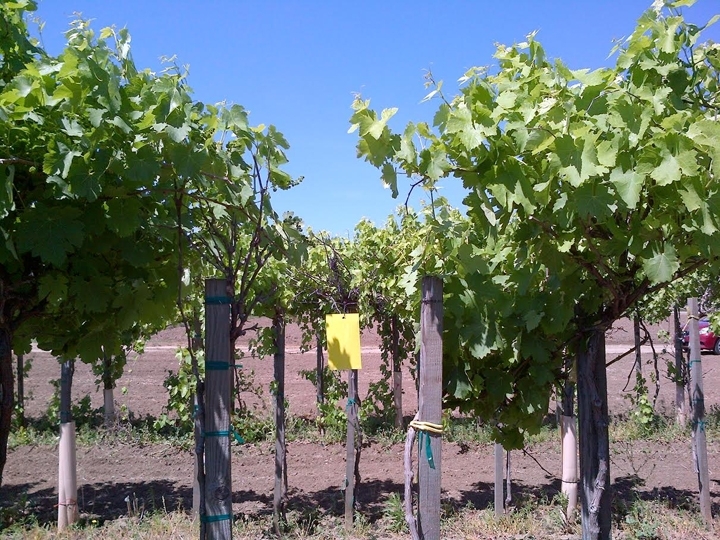 To work for a vineyard in a pest and disease management position, preferably in an organic grape or sustainable vineyard. Another goal: to receive her Pest Control Adviser license. “I love it,” she said. It is really cool how Cindy Preto became successful in agricultural pest management despite coming from a disadvantaged background. Traveling all over the world and studying insects would be a really interesting career. I hope she comes up with all kinds of solutions to keep pest off of my vegetables and out of my house!